It makes sense to keep any library organised, so why should your WordPress media library be any different? 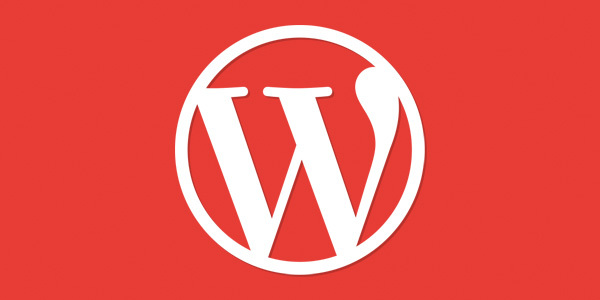 If you take a handful of WordPress sites and browse through their media libraries; you’ll probably find most of the files are named after digital still camera filenames, or random URLs from the Internet. This is hardly an efficient way to organise any library, so start as you mean to carry on, and name them properly, after what the picture is actually of. This will also have a potential benefit for people viewing your website too, if you fill in the Alternative Text, and description of the image; people looking at the image through the website, will see your text displayed should the image fail to display, search engines will potentially pick up on the text, and anyone viewing the website with a sight disability will be able to interpret the image using their screen reader. Having said that… you should also avoid going overboard when creating your URLs. This is because URLs, like most things web related, have an impact on your rankings in search engines. Your URLs should ultimately be like useful signs pointing search engines to your website pages. If you were in a car driving past different signs, you wouldn’t want a really long sign to have to read like page.com/how-to-use-wordpress-a-tutorial-for-beginner-developers-and-users… It makes much more sense to structure the URL something like page.com/wordpress-beginners-tutorial. This way you aren’t spamming keywords in the URL title, you’re just giving the really important keywords, and you’re effectively creating a concise glimpse of what your post contains. If you’re working in the editor a lot, and not just copy and pasting everything into the editor you should definitely make use of the keyboard shortcuts, much like word and other text editors, WordPress also has a load of keyboard shortcuts and features that you should be using. Mac users… you should use the CMD button instead of Control. There is a full list of these in the help section of the dashboard, just look for the hotkeys tab. WordPress has this great feature allowing you to embed media into your page, most people probably only use this for embedding images into their posts and pages. In the WordPress post editor, click the cursor wherever you want to embed the media. 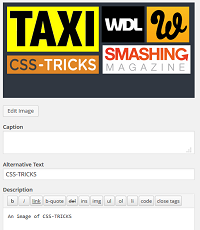 Click the media button within the editor and click “Insert from URL”. Once you’ve entered the URL information the URL may appear in the content area of the editor as a blue link, should this be the case, highlight it, and then click the broken link icon at the top of the editor, this should unlink it, and WordPress will embed the media, into the page as an actual image or video. Make sure you’re allowed to use the content before you embed it. Saying that, if you’re getting it from youtube or similar sites it should be okay to use. Search engine optimisation is a big part of your online presence. Rest assured that most companies with an online presence have probably spent some money on SEO throughout their time online. Luckily there are a few things you can do to optimise your website for search engines without having to spend a fortune doing it. Download, install and activate the WordPress SEO by Yoast plugin, and you should now see a meta box on every post & page, allowing you to add Titles, Descriptions and more onto every page. It’s a really handy plugin that allows you to easily take control of your pages meta information without having to edit any code. If you’re a keen blogger, you’ll know that when the creativity hits you have to just write your blogs then and there. Anyone who’s written a blog post before will know that sometimes you just can’t get the words on the screen, writers block! So when you have inspiration to write, you’ll sometimes end up writing three… or more blogs at once. Obviously you don’t want to post these blogs all at once or your site won’t stay fresh for very long, ultimately you want your audience to have a reason to come back, so by spacing out your blog posts, you’ll give them that reason! So, when you’ve got a collection of blogs ready to post, you can schedule them to be published whenever you want. Simply click the edit link next to the “publish immediately” text within the edit post menu. You should now see some date fields, set this to the date, and time that you want the blog post to be published. That’s it, simple as that, now the blog will just go live at the set date without you having to do anything more. This feature is also really useful should you have a blog you wish to post at a certain time but you know you won’t have access to a computer. Browser caching is another really easy way to optimise your website. Caching basically tells your website users devices to store some of your website files locally on their machine, meaning that they don’t have to request the files from your server each time a page loads. This can greatly increase page load times, whilst at the same time decrease the load on your server. Using a plugin such as W3 Total Cache can make the process of caching easy. Just configure your settings as required after downloading and installing the plugin. What’s the point in having a website if you don’t know if people are visiting it or not. With the help of Google Analytics you can harvest all the information you could possible need about your website, you can even see in real time how many people are on your site. There are also countless other features that analytics offer. The best thing about it is that it’s totally free! There is this really handy plugin that will integrate into your WordPress site and setup Google Analytics for you. A sitemap is much like a chapter of contents. Each page on your website being a chapter. Imagine how hard it would be for you to find something in a book if it didn’t have a table of contents? This is why we must have an XML sitemap included in our websites. 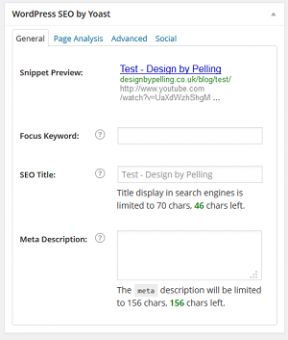 With a sitemap it’s much easier for search engine crawlers to index the website pages because you’re basically giving the crawlers a map of your website. This plugin will automatically generate an XML sitemap and keep it up to date with all the future pages you add to the website. This plugin will save you time, and should go towards getting you noticed on Google!